Tony Curtis, Joanne Dru & Lyle Bettger . 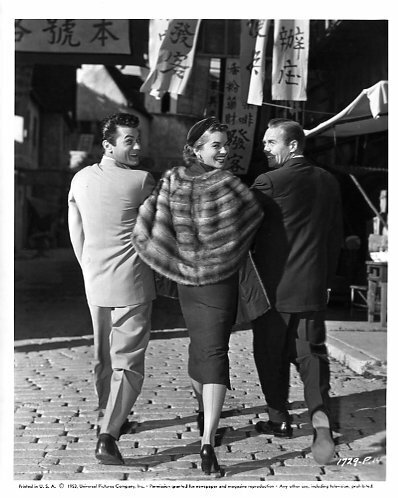 Joanne Dru between Tony Curtis & Lyle Bettger during filming of Forbidden. Wallpaper and background images in the Classic Movies club. This Classic Movies photo might contain sign, poster, text, chalkboard, street, city scene, and urban setting.